This article on the 8 areas of employee expectation, and their impact on effective employee engagement and retention, looks at the career development expectations of the team and individual team members. One of the major reasons for losing talented staff is that they are not being given the career development opportunities they often think they deserve or expect, and look elsewhere. So understanding and exploring employees career development expectations is another key factor for engaging and retaining top talent. Employees generally want to be good at their job and the vast majority, some 76% according to statistics, are looking for some kind of career growth and development. This could include access to training, being given the opportunity to gain experience in particular fields and having the prospect of advancing in their career through promotion. What if an employee wants development but is not highly motivated or the business doesn’t have the right opportunities currently to promote them? Understanding what makes up each team member’s individual career development expectations is essential to identify those who truly want advancement and a desire for self improvement. Some team members may be very enthusiastic for development, buy may not want the challenges that come with it. For managers to develop their teams they need to know how expectations are made up so they can engage in meaningful conversations to identify a clear and achievable pathway for career development within the organisation. For organisations they need to demonstrate development and staff mobility options if they are to retain their best people. Organisational policies are great but how relevant to the group or team, and what is really important to them? Does everyone in the group have the same career development expectations and needs? 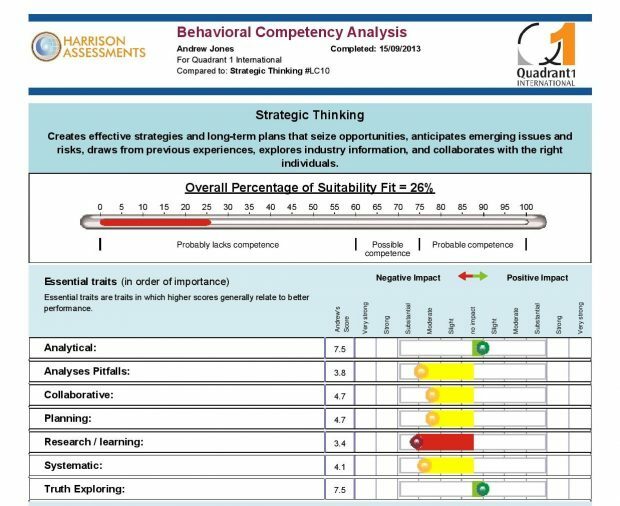 Using Harrison Assessments engagement and retention analytics we can find out. What can we interpret for this group? it considers career development to be very important and thus, it is very important to provide development opportunities. this group has a reasonable tendency to be clear about goals, so will probably have career development goals in mind. Discuss these goals to obtain a clear understanding before suggesting or creating a development plan. the group considers self-improvement to be reasonably important and may be reasonably willing to develop new competencies related to career development. career advancement is reasonably important and so it is important to provide information about advancement opportunities that are available and what is required to achieve them. the group is willing to pursue difficult challenges related to career advancement. If advancement is considered, they will probably embrace any challenges related to advancement. For line managers, understanding an individual’s development expectations, as well as their own expectations and behaviours, has never been more important to retain the best talent and develop their team’s full potential. Asking the right questions, and analysing each individual employee’s real engagement factors ensures managers and the wider organisation provide an environment that retains the best talent. People want to feel recognised but there are many other factors that need to be understood if they are to further engage in their work and the overall success of the organisation. What career development expectations do employees have? Many employees want to move forward with their careers and not remain stagnant. They realise there are many opportunities that could be taken if they just had the right skills set. While meeting this particular expectation is important for organisations that want more employee engagement, it comes with a few caveats. The employee may want further development and expect it but they also need to have the personal qualities to take on new ways of thinking, accept challenging study, and potentially move into new areas. Enthusiasm for career development and pushing forward down a particular career path can be a prime motivational key to success. If the employee’s enthusiasm is selective, however, it can be problematic particularly if there are certain areas that need to be developed that are a little too much like ‘hard work’. One of the reasons why employees often fail on the developmental pathway is that they don’t have a clear idea of where they are heading nor enough markers along the way to ensure that their enthusiasm stays high and their performance and abilities improve as a consequence. An employee’s engagement with developmental processes such as study courses and new challenges are often part of their own ethos of self-improvement. Some will make their own choices and work towards personal goals such as undertaking a degree or Masters qualification. Supporting this desire for self-improvement is imperative for companies that want to show they are behind their staff but it can also be financially burdensome if many employees are following the same track. Career minded employees will certainly want the opportunity of advancing within the company or elsewhere. If their expectations are that the opportunities will not come in their current position, top talent will eventually want to look elsewhere. Combined with the reality of what the company actually offers in the way of training and support, a clear way to advance is very important and needs to be demonstrated if the talent is to be retained for any length of time. Career minded individuals will no doubt be relishing their next challenge but if their expectations of the organisation are that it offers the same fayre day after day then they may soon start to lose focus and even become bored. Also important is what constitutes a challenge to a particular employee. For some it may simply be about getting through a large workload. Others may want the challenge of project management such as helping to develop a new product or service and market it or being put in charge of other staff in their own department. Managers can measure employee expectations, the intrinsic behaviours that drive individual and group engagement, by analysing the 8 key expectation areas. 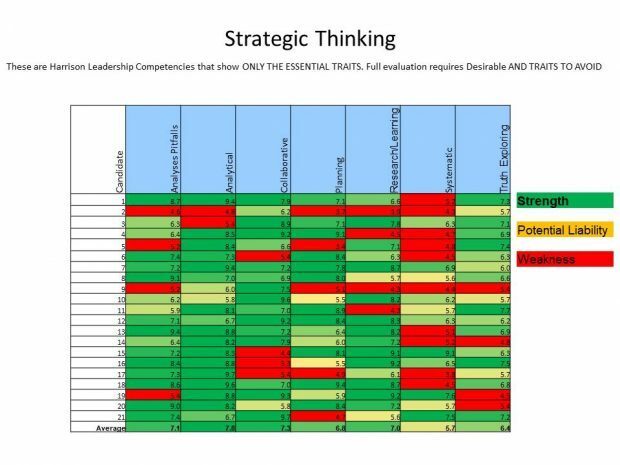 This helps to understand any differences between an employee as well as looking at the overall group or team’s expectations. These insights facilitate the essential dialogue between employee and manager, fostering a shared responsibility for engagement to build a culture of employee engagement.